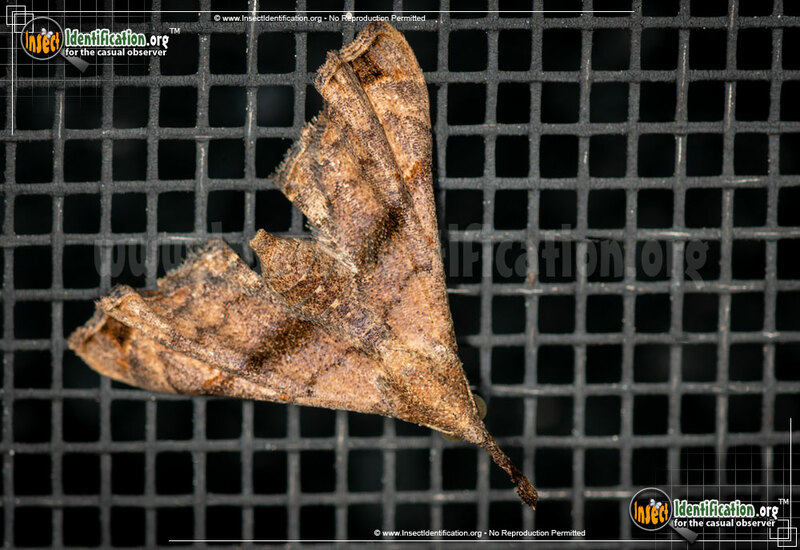 Detailing the physical features, habits, territorial reach and other identifying qualities of the Ambiguous Moth. 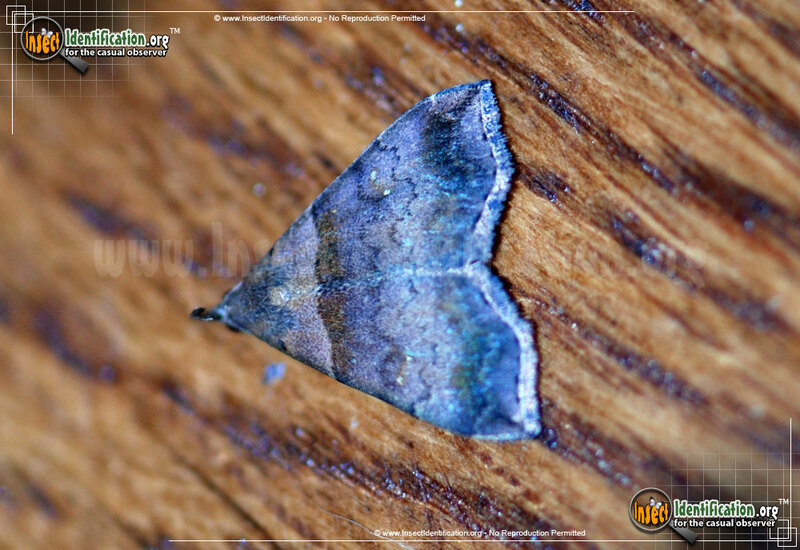 True to its name, the Ambiguous Moth has a few different color variations and spots that may or not be easy to see. A type of Litter Moth, Ambiguous Moths are small and somewhat triangular in shape when their wings are spread flat thanks to a long nose or snout at the front of the face. 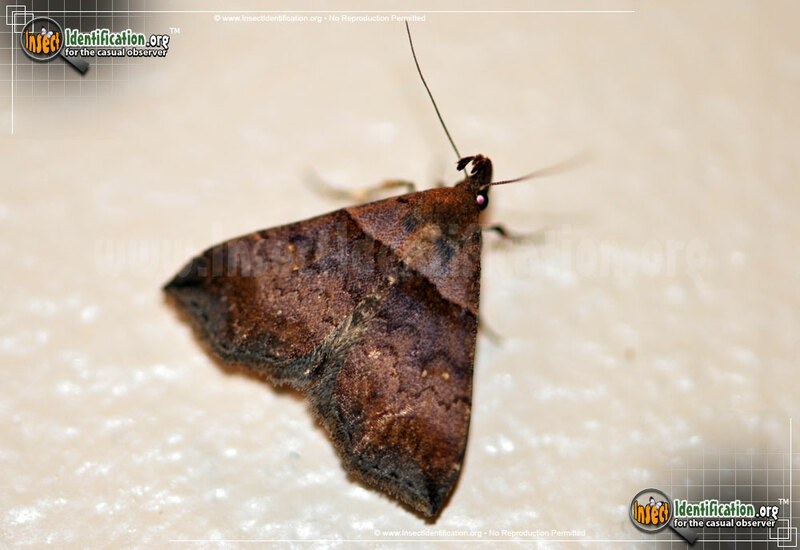 Ambiguous Moths are brown or light brown with a purple hue. Males look slightly bolder and darker than females. Males have a straight, dark band that crosses the wings near the hairy thorax, clearly separating the lighter head/thorax area from the darker portion of the wings. The bottom of each forewing has a notch in it, dotted with a round black spot. Females don't have this darker band, nor the notch. Males also have a curved white dash near the outer edge of the wings. In females, this dash is broken into smaller bits. Both genders have an angled, dark smudge in the corner tip of each forewing. Legs are dark brown with white bands at the joint and along the feet. Larvae are dark brown with a thin white line along the 'spine' at the rear, or muted green with pairs of black dots in each segment on the top of the body. Segments may be separated by narrow yellow-orange bands. A faint diamond-shaped pattern runs along the dorsal side as well. The face is dark, but has a mottled design on it. They feed on mums, ragweed, and horseradish. Tiny, translucent spherical eggs are laid on leaves of host plants. Two broods are produced each year.